Sheila Fabrizio represented Running On Empty in New Haven, at The Gandhi Peace Award ceremony. 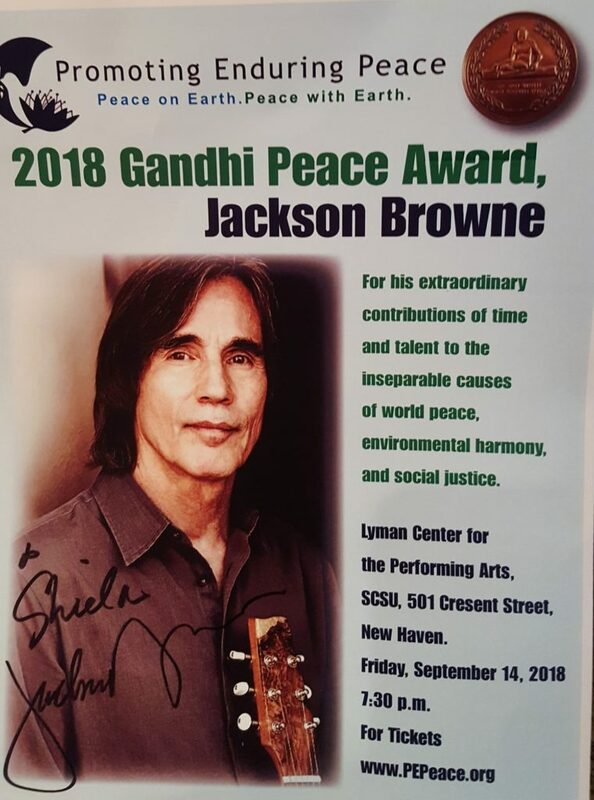 The award was given to Jackson Browne by “Promoting Enduring Peace,” at the Lyman Center on Friday, September 14. Jackson was kind enough to pose for the picture and autograph the poster from the event. She told him about the band and he seemed intrigued. Previous Post:Runnin’ On. 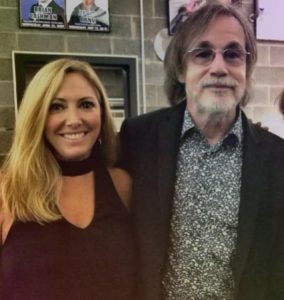 . . New show—Infinity Music Hall, Norfolk, CT., 8/24/18 at 8PM. Next Post:Great gig at Infinity Hall on August 24th. Thank you!